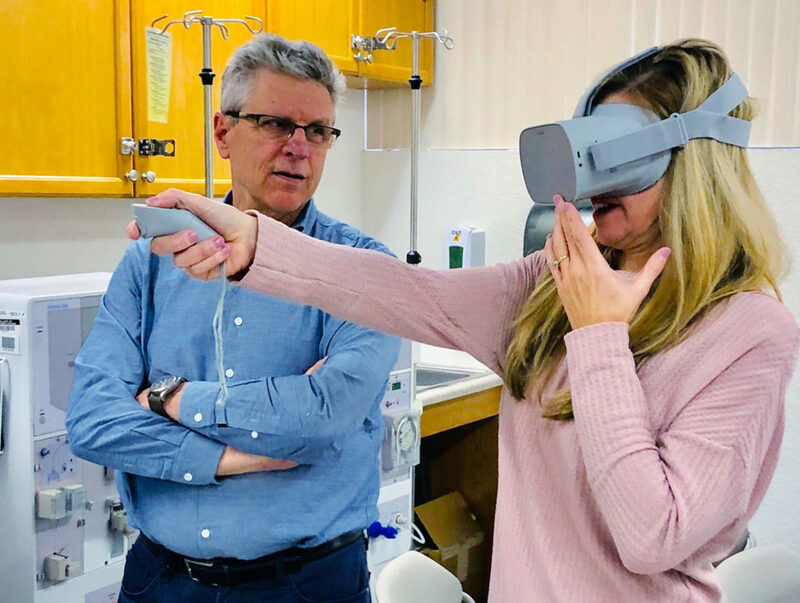 XR Libraries director John McLeod talks with Kristi Kilcko, of the Medical Education Institute, about the role of virtual reality equipment in matching workers with careers. Deciding what to do with the rest of your life can be daunting. Walking into a library isn’t. That’s the premise behind a new initiative, “Libraries Equal Education,” where Nevada libraries are harnessing resources to help people match with suitable career paths. As part of the program, Workforce Connections — Southern Nevada’s local workforce development board — partnered with eight libraries to host One-Stop Career Centers in the libraries. “Embedding access to the One-Stop Delivery System in the public libraries helps us bring employment and training services closer to where businesses are located and where job seekers live,” said Jaime Cruz, Workforce Connections executive director. Job seekers can research in-demand jobs through the Nevada Career Explorer database, which shares information between the library and workforce centers. 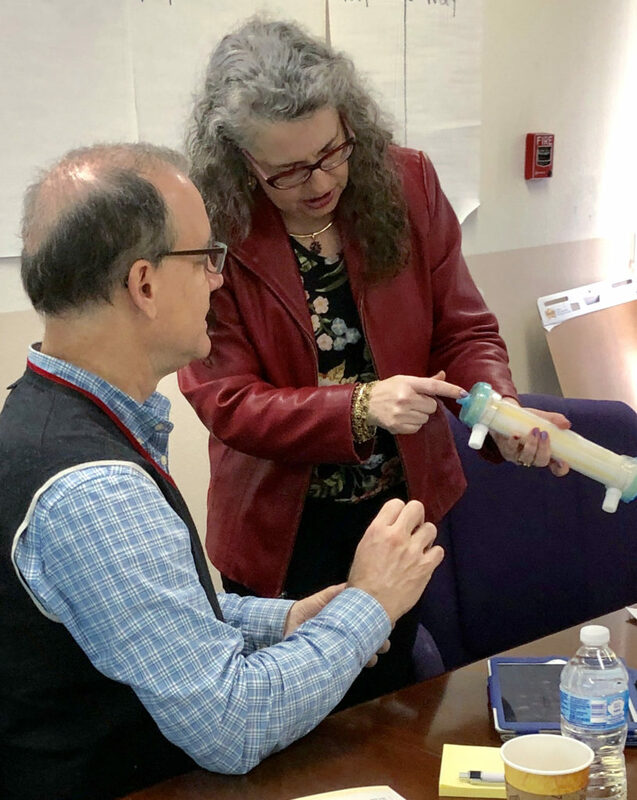 Lifeliqe’s Mark Andersen talks with Medical Education Institute Executive Director Dori Schatell about a career-matching program that mimics a virtual day in the life of a dialysis technician. The libraries are then connected to learning institutions to help job seekers take the next step in pursuing a career. The program was partly funded through the 2017 Legislature. The Nevada Library Association will be asking this year’s legislators for a permanent $1.5 million line item to keep collections relevant and vital programs operating. The Nevada State Library is partnering with the College of Southern Nevada to create a pilot program where patrons can virtually test out a career before investing the money in an education. 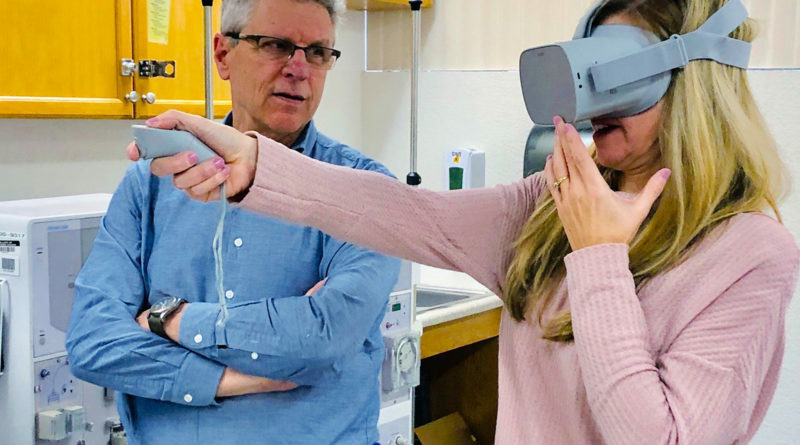 Working with virtual and augmented reality content publishers like Lifeliqe and with subject matter experts like the leaders from XR Libraries, the program is developing content to allow patrons to spend a virtual day in the life of a dialysis technician — over the course of a few minutes. Immersive, 3D experiences are being created to augment textbook learning in training future technicians. The implications could be life changing. For instance, a person making minimum wage could walk into a library and experience the work of a dialysis technician through virtual reality. If the person were interested, a librarian could connect him or her to the college to enroll in a 15-week course. Upon completion, the person would be certified to work as a technician, making up to $22 an hour. For a list of all One-Stop Career Center locations and free services, visit www.nv.headed2.com.